This photograph of Sandy Herd, J.H. 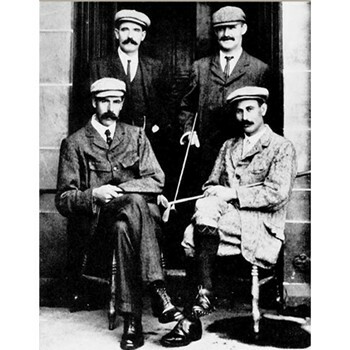 Taylor, James Braid and Harry Vardon was taken in 1905 at St. Andrews, Scotland prior to their International Challenge Match. This 11" x 14" black and white historic photograph has a sepia tone.